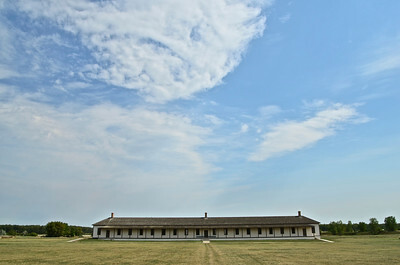 Fort Abraham Lincoln State Park in North Dakota is one of the outstanding historic areas within the state. 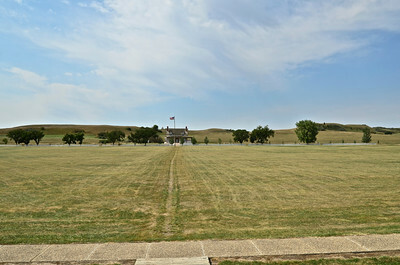 The park is made historically important because within its boundaries are the ruins of On-A-Slant Mandan Indian Village and the Fort Abraham Lincoln cavalry and infantry posts. 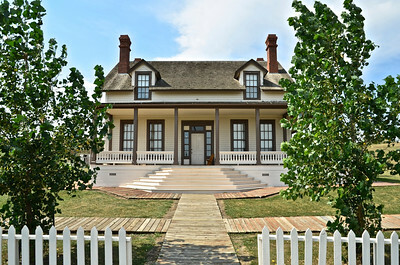 The land itself was deeded to the state in 1907 by President Theodore Roosevelt. 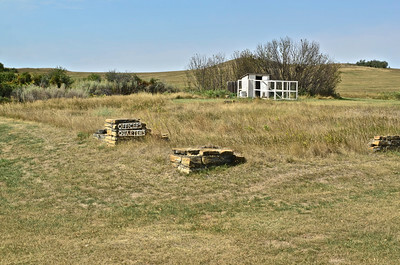 Park development started in 1934 by the Civilian Conservation Corps (CCC), who built the visitor center, earthlodges, blockhouses, shelters and roads, and placed cornerstones to mark buildings at the infantry and cavalry posts. 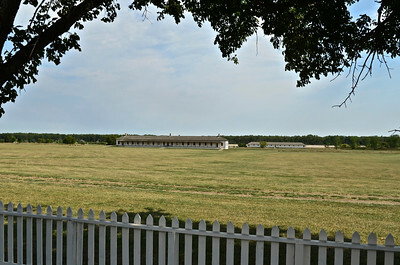 Additional development took place in the late 1980s and 1990s, with the reconstruction of the commanding officer's house, commissary storehouse, enlisted men's barracks and granary, all on the cavalry post grounds; and the Council Lodge in the On-A-Slant Village. 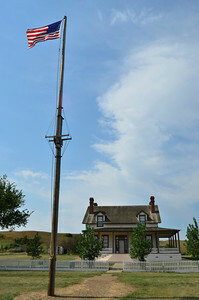 In preparation for the Northern Pacific Railroad to lay its track to the Missouri River and beyond, the military was dispatched to the area. 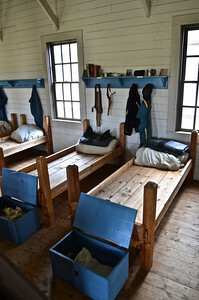 In June 1872, an infantry post, called Fort McKeen, was built by Companies B and C of the 6th Infantry. 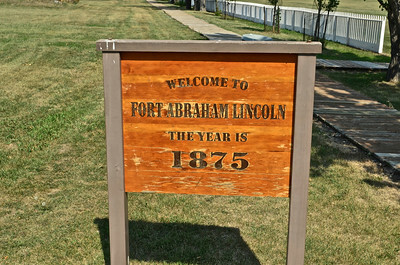 The name Fort McKeen was short-lived; the designation was changed to Fort Abraham Lincoln on November 19, 1872. 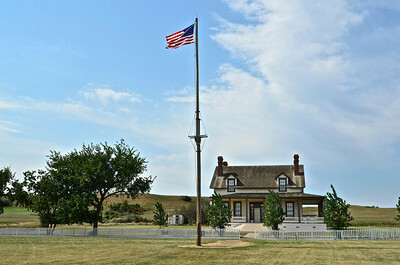 In 1873 Congress authorized the addition of a cavalry post and its construction was mostly completed the same year. 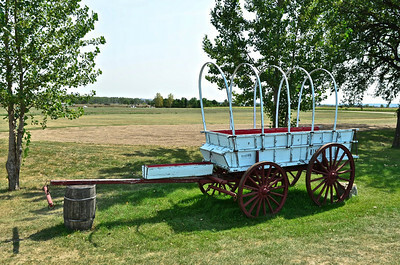 The Seventh United States Cavalry, which had been scattered throughout the south and west, proceeded north to Fort Abraham Lincoln. 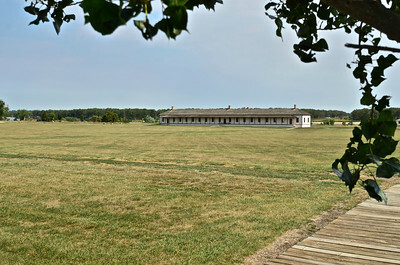 By 1874, Fort Abraham Lincoln housed three companies of the 6th and 17th Infantries and six companies of the 7th Cavalry, making the fort a nine-company command. 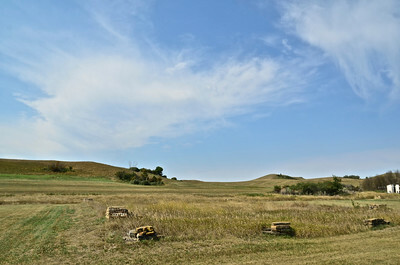 With a total complement of about 650 men, the fort was among the largest and most important on the Northern Plains. Lt. 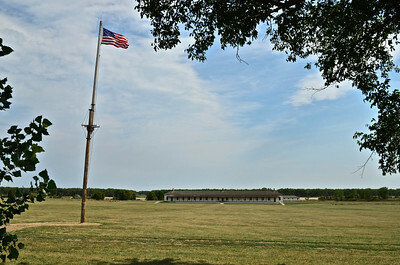 Colonel (Brevet Major General) George Armstrong Custer was the first commander of the enlarged fort and served here from 1873 until the Battle of the Little Big Horn in 1876. 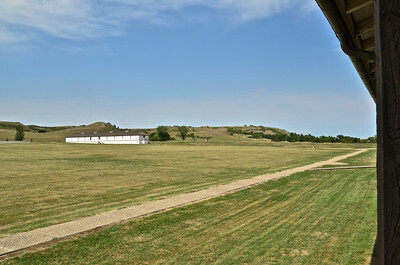 Fort Abraham Lincoln was the headquarters of the 7th Cavalry until June of 1882, when the 7th Cavalry and its headquarters were transferred to Fort Meade in present-day South Dakota. 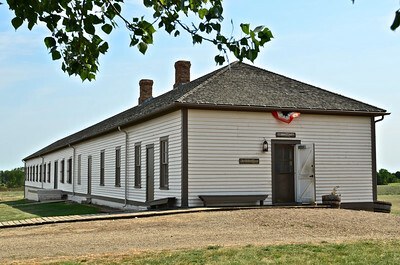 Upon completion of the railroad to Montana, Fort Abraham Lincoln had fulfilled its primary purpose. 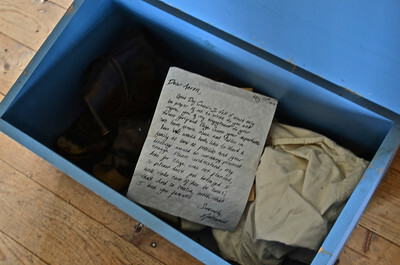 Consequently, the fort gradually declined in importance and was finally abandoned in 1891. 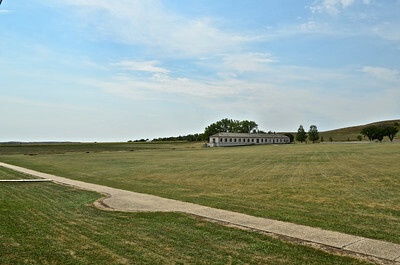 In its heyday, the fort encompassed 78 separate buildings. 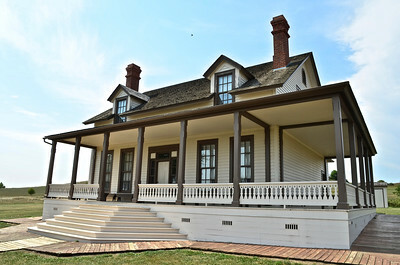 Many of the original buildings were dismantled by area settlers and the materials used in the construction of area homes and farms. 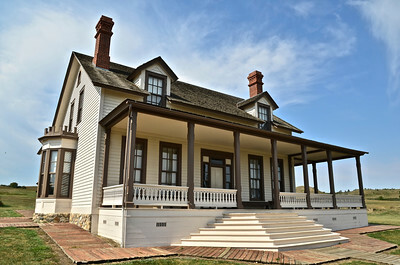 Today, the Victorian-style home of George and Libbie Custer has been reconstructed and is open for living history tours. 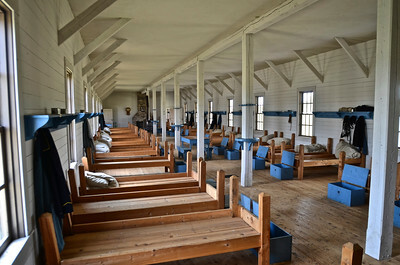 Also reconstructed are the commissary storehouse, which houses a gift shop, the enlisted men's barracks, granary and stable.